Over the last couple of years, there has been a significant move from desktop website viewing to the convenience of browsing websites on mobile devices which means that Responsive Design is becoming the norm! Google is now reporting that over 70% of web searches are now being carried out on mobile devices. With this change in the way people view and search Google now ranks mobile-friendly websites above those that are not mobile friendly so this is a big reason why you should be exploring 'Responsive Design'. So what is Responsive Design? 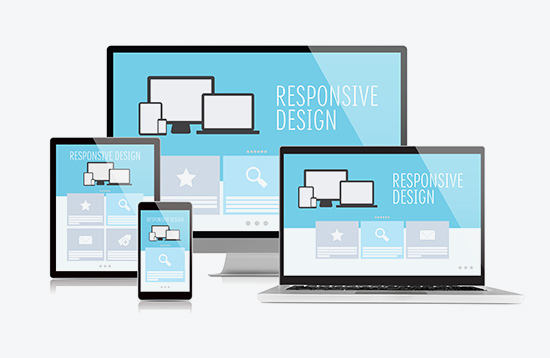 Responsive Design is a way of designing a website to give the user the optimum viewing experience across all devices, this includes desktop, tablets and mobile phones. This is based on screen size so that if you are viewing a site on a mobile phone you will be presented with a whole different viewing experience to how the site is displayed on a desktop computer or laptop. This is based on a mix of flexible grids and layouts and images using CSS with coding being used identifying the right layout to be presented on the device you are using. This means that if you are on a mobile phone the information is wrapped round to a long scrolling page with the information being presented at a readable size without the need to pinch, pull and zoom to read the information as you have to if a website is not responsive. Your website designer will design with 5 layouts in mind, 1 for desktop and 2 for both tablet and mobile which takes care of orientation recognising if you are viewing in either portrait or landscape mode.